Concepx Studios is a Visual Communication umbrella dedicated to offering creative services and consultation to the every business person of today. Specializing in key 'Creatives' driven areas (Web, Graphics, Copywriting, etc) and making them readily available to the small business and entrepreneur market where there is a lack of dedicated professionals with integrity, providing proper follow-up service and willing to stand behind their work. 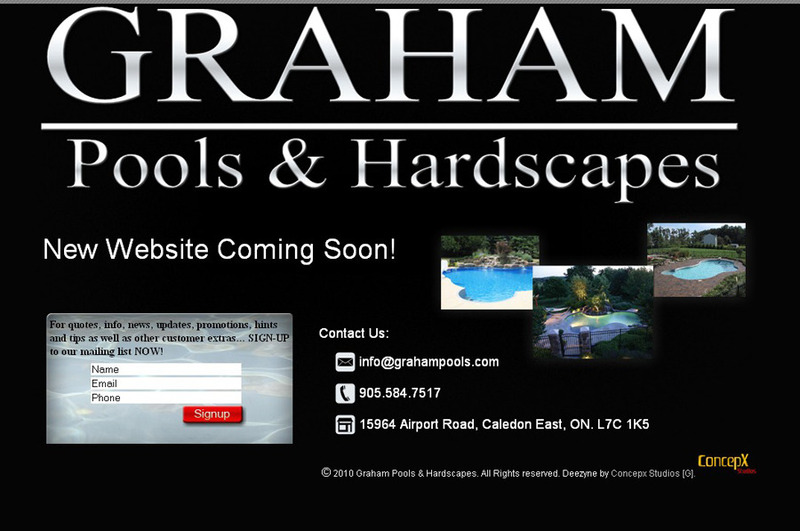 Graham Pools & Hardscapes Static Lander w/ Dynamic Elements.